“Stop In the Name of Love” is released as the ninth studio album by LaToya. The album, which was recorded and mixed in Sweden is a collection of dance-style well-known Motown covers, The entire album was recorded in one hour. Janet attends the CORE Ambassadorial Reception Award Dinner in New York City. Michael & Lisa Marie welcome King Nana Amon Ndoufou in Los Angeles . “Whoops Now” is released as the 8th & final single from “Janet” along with a video directed by Yuri Elizondo. Michael & Lisa Marie visit lawyer Johnnie Cochran at his new office in L.A.
Michael previews several new songs from his new album at the NARM convention where he is presented with an Humanitarian Award. Michael attends little Craig Fleming’s funeral. Janet Remixed is released in Europe. Janet performs “Whoops Now” on Top Of The Pops in London. Alejandra and Jermaine get married in a secret ceremony at the Hotel Bel Air causing Randy to leave Hayvenhurst! Some time after, Joe brings a baby boy from Las Vegas to Hayvenhurst. Donte Williams, born on June 13, 1992 is adopted by Joe & Katherine but raised by Jermaine & Alejandra. Michael hosts a party at Neverland to celebrate the end of the recoding of his new album titled History. While in Paris Janet is a guest on French Tv show “Nulles Part Ailleurs” and she also performs “Whoops Now” on TF1. 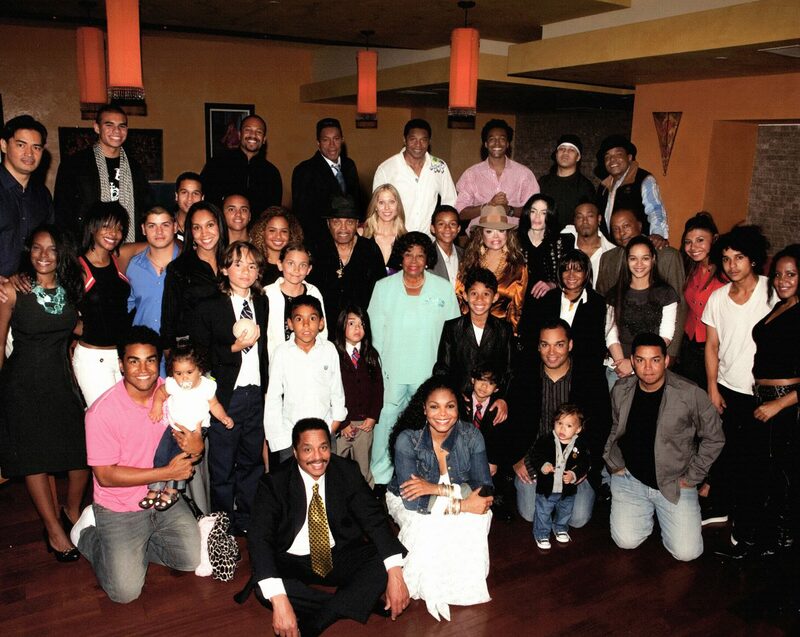 Michael & Lisa Marie welcome 46 youth from 17 countrries at Neverland for the World Children Congress. After 123 concerts on 4 continents, Janet, Rene & the Kids leave London and fly back to L.A.
Michael is on the cover of VIBE magazine with exclusive pictures taken with Quincy Jones & his daughter Kidada. Michael & Janet shoot the video for Scream, directed by Mark Romanek. Scream, The first single from the album History is officially launched on radios worldwide. Michael, Lisa Marie & her daughter Danielle go to the Six Flags Amusement Park in Los Angeles . 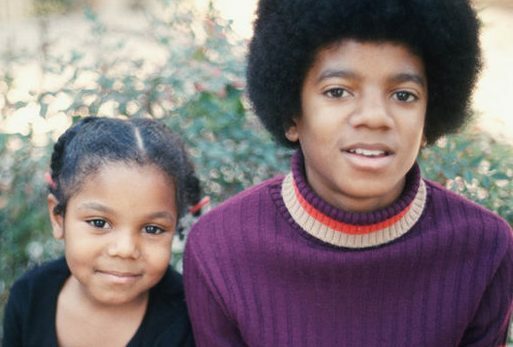 Michael shoots the video for Childhood directed by Nicholas Brandt in Los Angeles . The History teaser begins airing in US theatres and on TV around the world. Janet goes to Minneapolis with Rene to record two new songs for a greatest hits album. Michael & Lisa Marie give an interview to ABC’s Primetime Live with Diane Sawyer. The Scream video is premiered. A new controversy arises about some lyrics to the song They Don’t Care About Us that would be anti-Semitic which Michael categorically denies. The History album is released worldwide. Huge statues of Michael are held in some European cities. Michael appears at the VH1 Awards at the Shrine Auditorium in Los Angeles to perform We Are The World with Boys 2 Men and he also receives an award from Morgan Freeman for his charity efforts. Michael & Lisa Marie attends the opening of the Magic Johnson Sony Theatre in Los Angeles . Michael & Lisa Marie shoot the video for You Are Not Alone and they also appear on the cover of Jet magazine. Michael attends a press conference in New York City to announce the 1995 MTV Video Music Awards nominations + a special HBO concert planned at the Beacon Theatre on December 10. ABC airs a special feature called Michael Jackson Changes History during which Michael gives an interview to Bill Bellamy and premieres the video for You Are Not Alone. After an argument with Lisa Marie, Michael flies to Disneyland Paris to take a break. Janet shoots a video for the song Runaway with the Kids. “You Are Not Alone” is released as the 2nd single from “History” and directly reaches number 1 on the Billboard. Michael chats with his fans on the Internet. He shoots the video for Earth Song directed by Nicholas Brandt. “Runaway” is released as the 1st single from “Design Of A Decade 1986-1996” along with the video. Michael & Janet attend the MTV Video Music Awards in New York City with Lisa Marie & Rene . MJ opens the ceremony with a 20 minutes long medley (including Dangerous & You Are Not Alone) and accepts an award with Janet for Scream. “Design Of A Decade 1986-1996” is released by A&M Records as well as a VHS featuring all the videos from the Control & Rhythm Nation eras. Janet goes to Australia to promote Design Of A Decade. She tapes an intervew on Rockp Pop Studio TV show. Michael performs Dangerous & You Are Not Alone at the Soul Train 25TH Anniversary Special. Janet is on the cover of Jet & US magazines. The single & video of Earth Song are released in Europe . Michael & Sony merge their song catalogues. The new joint publishing venture is estimated at $600 millions! Michael is rehearsing the HBO concert at the Beacon Theatre with French artist Mime Marceau and they welcome the media. Michael collapses while rehearsing the concert and he is rushed to the Beth Israel Medical Center . He is suffering from gastro-enteritis, dehydration and electrolyte imbalances. Janet cancels her appearance at the Billboard Awards after hearing that Michael had a stroke. She visits him at the hospital. Lisa Marie also visits him and she asks a divorce! Michael decides to postpone the concert. Michael celebrates Christmas at Neverland with the Cascios.